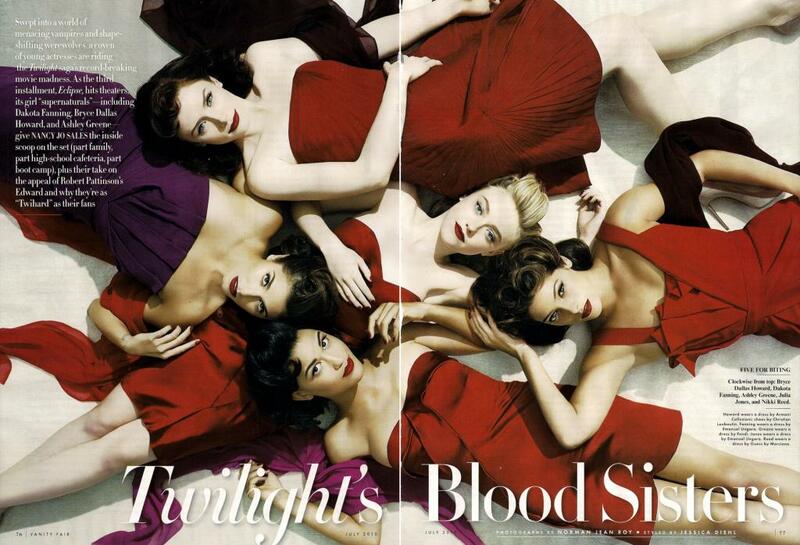 Cashing in on the Twilight fame, Vanity Fair shot a cover and editorial with some of the girls from Twilight. I'm not a die hard Twilight fan but I do love the editorial and the retro styling. The exquisite red gowns and lipstick are a throwback to the old Hollywood charm. I don't like the fact that Dakota looks too photo shopped for my liking. The stars are wearing DKNY, Oscar de la Renta and one of my new favourite designers Prabal Gurung.